and definitely her attention. As their families become closer, Janie is beginning to care too much about him. But she can't afford to get involved. Not when everything is riding on beating him. Are Mirrors Cleaner in Paradise? Family Secrets is a cooking competition that's family-oriented. This opportunity gave Janie Young a chance to give her son a bright future. And for Dr. Burke Carter, it's a chance to be someone that Kelsey can be proud of. Janie is a young single mother with a Down Syndrome son. Her love for him pushed him to enter the Family Secrets competition. Her ex-husband was a difficult man when she asked him for child support money. He kept blaming her for the "mistake" to keep Dawson. He didn't want kids but to have a "different" kid made him embarassed. I dislike him from the very first. A guy who is embarassed with his child is not a good man. At least Janie got her friends that cared about her and Dawson. They were true friends. Dr. Burke Carter had a difficult time understanding his teen daughter. He loved her so much but he felt that sometimes it's not enough. Kelsey didn't have the same cheerfulness anyomore and he was willing to do anything to make her happy. So when she saw a cooking competition, she wanted him to be a part of it. But deep inside he was afraid that if he failed this one, his daughter would depression. He will do anything in his power to put back the beautiful smile in her face. Burke had a dream about the woman in the competition since the session in Thanksgiving. He wanted to get to know her but it didn't seem right since she was his opponent. His daughter believed they were going to win so there was nothing wrong with helping them to ease the pain of losing the competition later. He never expected that she would be the woman who understood him completely. Their small talks turned into deep conversation that they looked forward every day. I've been a supporter of the two in the competition and it was very difficult to decide which one was going to win and who deserved it more. No one deserved happiness more than they were. Kelsey adored Dawson. It was so beautiful seeing them together. I can't even describe how amazing she was. It was rare in this world that someone can be loving to the different ones. Too bad that Burke has a lack of interaction with Dawson. I knew that he would be a wonderful father though. The plot was engaging and the characterization was superb. A story of second chance for these two single parents with unexpected twist and complex personalities. A wonderful start for this series! Recommended. A heartfelt book that touches on so many lessons in life. There’s not a huge amount of romance in it, but there’s a growing love and affection that stems from two families torn apart by heartache, that find their ways to happiness again … together! 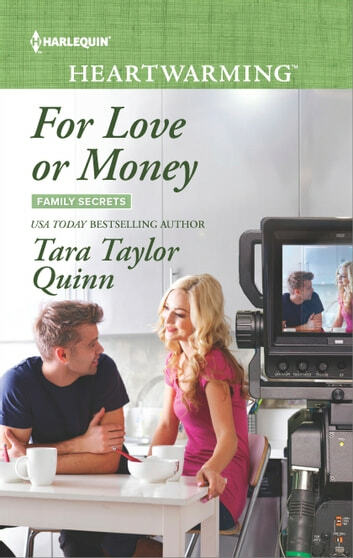 A reality TV cooking show competition is the setting for this new series, Family Secrets, by Tara Taylor Quinn. In this story, Janie Young is a single mother to a special needs child and needs all the help she can get to give him all of the little extras he needs to enjoy a full life. She really needs that prize money and exposure to future success! Burke Carter is a successful orthopedic surgeon with a teenage daughter who needs him to win this competition in order for her to be able to put a better spin on things that have happened in the past. Both parents adore their child and only want to have them be okay … and they both like each other and can’t help themselves from becoming closer during this competition. When a winner is crowned, how will it effect their budding relationship?